Your child has worked hard at school and has a glowing report card to prove it. Time to reward him with these 16 ways to celebrate your star student's good grades and give him a pat on the back for a job well done. The best good grades rewards show how proud you are of your kids. Your praise may be an excited, "Congratulations," a high five or a hug and kissfest. Praise can also come in the form of putting the report card on the refrigerator where everyone can see it. Or maybe you prefer to show your praise with a free printable certificate. Take a picture of him with his report card and frame it. These simple acts of praise will encourage him to keep doing his best in school. Many companies offer rewards to students who do well in school. Kids with good grades can take their report cards in to earn everything from free food to a free movie rental. Bake something special as a reward. Get creative with a square cake and write with frosting to make a replica of your child's report card. Cut a square cake into an A. Have fun coming up with ideas to honor good grades with a good cake. He probably has a favorite place he likes to go. Or you may be thinking about taking him out of town for an adventure in a neighboring city. When the report card comes in, plan a visit to a children's museum, the zoo, an amusement park or an aquarium. Spend an afternoon or evening at the movies together. If the budget is too tight for movie tickets and popcorn, try a family night movie at home that turns your living room into a movie theater. It's his moment, so he gets to choose the snacks and an age-appropriate movie. Go out for pizza. Take along some quarters so you can play some arcade games with him while you're there. Let him invite a couple of friends over for a sleepover. You can even use his report card as a gauge to how many friends he can have over. For example, 3 A's means he can invite 3 friends. When the report cards come home with good grades on them, give your kids some extra time rewards. The time could be a night with a later bedtime or being able to play video games on a day you wouldn't normally allow. 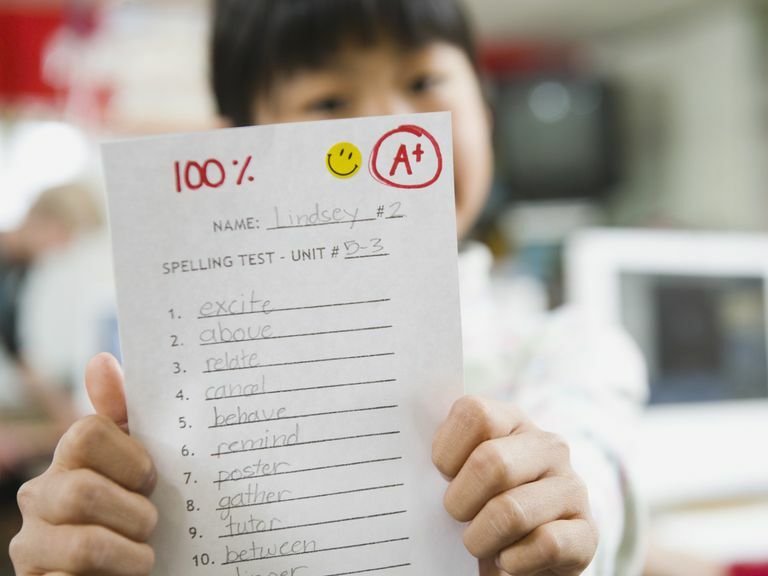 If you're on the fence about rewarding your child for grades, you may be swayed if you give him something educational. Head to the bookstore and let him pick out a book he wants to read. Or select a book you can read together. A sweet treat can be a fun reward for you and your children. Make a special trip to the ice cream store or try making your own ice cream at home with a baggie. He loves your famous burger recipe as long as one of the toppings is potato chips. Serve up his favorite meal as a reward, weird requests and all. Younger children may enjoy a trip to the toy store to find the perfect toy. Older kids who've been bugging you for the hottest video game can now earn it by getting good grades. At the end of the year, throw a party if he gets good grades. This gives him a goal to work toward as he hits the books. It's also a great way to say goodbye to another school year and hello to summer. Let him choose a new board game when he brings home good grades. Make sure it's something all of you can play together during a family game night. It will be a win-win for everyone. Some parents love giving their kids money for A's and B's. Others are adamantly opposed to handing over cash for grades. But you may find some moolah in hand for earning those grades, whether you coughed up the cash yourself or a grandparent sent it to your child for a job well done. Try this twist on money for grades. Let your child open a savings account. Many kids are so fascinated with having their own savings account book to write their deposit amounts in that this is reward enough for them. Or turn a monetary reward into a way to teach kids how to be charitable. Show them how to donate some of the money to a charity of their choice. They can help everyone from less fortunate kids in other countries to cats and dogs right in their own city. This one's especially fun for the kids. They get to be in control of the outing. Let your child choose a parent to take out on the town for an evening. This one-on-one time is a huge reward. And if he doesn't pick you this go-around, just wait. You may get a turn when the next report card comes out.